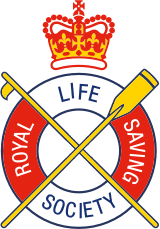 keep on scrolling down to find our range of water rescue and lifeguard courses. has been specifically designed to meet the criteria set by the Department for Education’s EYFS Framework. Over a 2 day period, Learners will develop the skills and knowledge needed to deal with a range of paediatric first aid situations, including: assessing an emergency situation, dealing with an unresponsive infant or child, CPR, choking, meningitis, head and spinal injuries, anaphylaxis, asthma and more. ​Visit the online shop for full course content. This qualification has been designed in-line with the current Early Years Foundation Stage (EYFS) requirements. ​During this 1 day course, Learners will develop the skills and knowledge needed to deal with a range of paediatric first aid situations, including: managing an unresponsive infant or child, CPR, choking, seizures, external bleeding and more. Visit the online shop for full course content. Visit the online shop to find a course. 18 contact teaching hours over three days. A regulated and nationally recognised qualification, specifically designed for those who are appointed to act as a first aider in their workplace. It is also ideal for people who have a specific responsibility to provide first aid in voluntary and community activities. Over a 3 day period, Learners will develop the skills and knowledge needed to deal with a range of first aid situations, including: assessing an incident, managing an unresponsive casualty, CPR, heart attacks, choking, head and spinal injuries, fractures, anaphylaxis and more. A regulated and nationally recognised qualification designed for those who have a specific responsibility at work, to provide first aid in a range of emergency first aid situations. It is also ideal for people who have a specific responsibility to provide basic first aid in voluntary and community activities. During this 1 day course, Learners will develop the skills and knowledge needed to deal with a range of emergency first aid situations, including: managing an unresponsive casualty, CPR, choking, shock, wounds and bleeding and minor injuries. This qualification is ideal for those who work or intend to work in a forestry, agricultural or remote environment, such as tree surgeons and farmers. This short, yet informative course provides Learners with the knowledge and practical competencies needed for the treatment of injuries and diseases that could occur whilst working in a forestry/agricultural specific environment. Topics covered are: extreme hot and cold temperatures, managing catastrophic bleeding, crush injuries and Lyme disease. This qualification is designed to accompany a regulated First Aid at Work or Emergency First Aid at Work qualification and has been specifically developed to meet the recommendations of the Forestry Commission First Aid at Work Policy. 3 contact hours over half a day. Over a half day period, Learners will leave with a renewed confidence having had the opportunity to practise essential first aid procedures, including: managing an unresponsive casualty, recovery position, CPR, choking and more. For full course details visit the online shop. Four contact teaching hours over one day. Designed to give knowledge and practical skills in basic life support (CPR) with the use of an AED. Designed for those with an existing First aid certificate but have no training in the use of an AED, but also ideal for persons who wish to have a basic knowledge as they have access to an AED at work or through a Public Access Site (PAD). For full course details visit our online shop. Designed for those who have identified a specific need for further training in dealing with a severe allergic reaction or anaphylaxis. popular with schools and colleges. We offer a selection of professional development courses, Ideal as an add on to a First Aid or Water Rescue course but can also be delivered as a stand alone course. Teaches extended resuscitation skills using Oxygen and a Bag Valve and Mask. Ideal for the leisure industry or high risk environments such as sports clubs and construction sites. Gives extended assessment skills enabling the user to better treat casualties requiring oxygen therapy. ideal for the leisure industry but also those in more high risk environments. Four hours contact teaching time. Designed for those who require a very basic knowledge of First Aid, popular with voluntary sports clubs where every coach requires basic knowledge, assisted by those with further first aid qualifications. 10 hours contact teaching time. Designed for sports coaches who require a good knowledge of first aid and injuries in sport, can be tailored to your particular sport. Ideal for the head coach, chairman etc. If you would like to arrange an instructor for an internal company course, please use the contact us page to get in touch, we have plenty of options to the corporate sector for staff training. 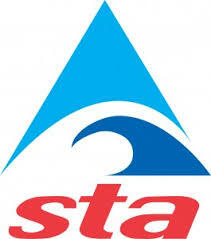 Water Rescue and Lifeguard Courses. 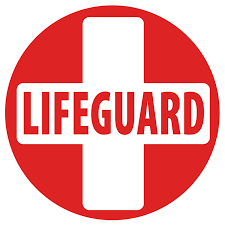 This five-day Pool Lifeguard qualification is one of the most comprehensive lifesaving qualifications. On the course, you will learn essential skills including the theory of pool lifeguarding, supervision, the roles and responsibilities of a lifeguard and the risks associated with a swimming pool or leisure centre. Once qualified, you will be competent and confident to perform CPR, first aid and aquatic rescue skills including fitness training, poolside rescue skills and spinal injury management correctly. The Pool Emergency Responder qualification is designed to train staff working in and around hotels and leisure clubs which traditionally have smaller pools which are shallower than 1.5m. On the course you will learn how to respond to a swimming pool incident, perform CPR, first aid, and aquatic rescue skills including basic spinal injury management. The Pool Emergency Responder qualification may be used as a stepping stone towards becoming a fully qualified Lifeguard, swimming teacher or fitness instructor. If you’re a swimming teacher, aqua aerobic instructor or school teacher and looking for a qualification that will allow you to provide safety cover for swimming sessions, this is the qualification for you! On the course, you’ll learn basic rescue, first aid and resuscitation skills. Holding a rescue/safety award such as this is also a pre-requisite for our swimming teaching qualifications. 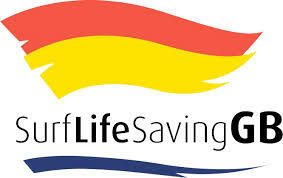 The Surf Lifeguard will provide the learner with the knowledge and skills required in order to provide professional patrolling and water services, in surf conditions, with rescue skills and advanced fitness requirements. The course is physically demanding and will include swimming to set times and lifting. The Surf Lifeguard Award is comprised of a variety of units and all must be successfully passed to attain the qualification. Visit our online shop to see the courses we can offer or contact us for further information.